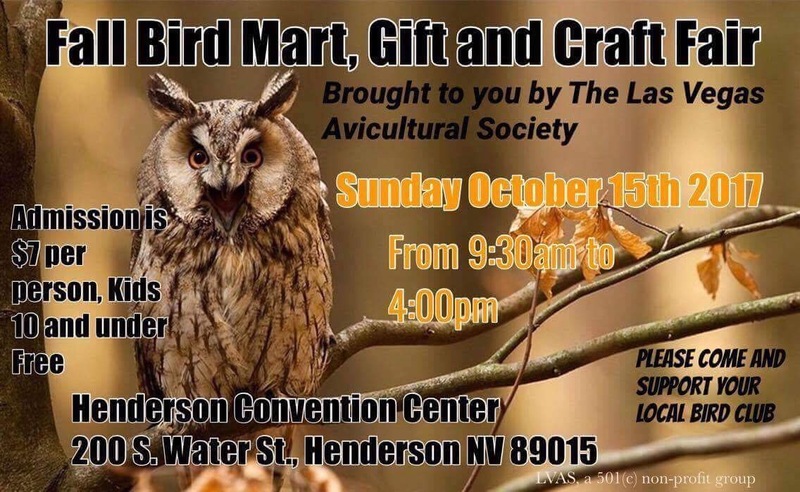 Founded in 1977, the LVAS is dedicated to the study of foreign and native birds, the dissemination of information for the care, feeding and breeding of birds in captivity, the perpetuation of species threatened with extinction, and the publication of material pertaining to Aviculture. Monthly Meeting – Every month we present a program on a selected topic. Speak about the Bird of the Month. Have refreshments and a great raffle table. Newsletter – Our newsletter is published monthly with a letter from our president, various info about the club, and relevant article. Preferred delivery is via email. 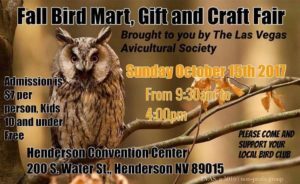 Bird Mart – Our bird mart is a fun activity where the club brings in vendors from Bird Mart is held the third Sunday of May and October.